As a veterinarian over the past 35 years I’ve been called many times to assist with difficult calvings or malpresentations that resulted in meconium (first manure) stained calves. The jury is still out on what causes this and what we should do about it. Veterinarians have many opinions on this topic, as it is a difficult subject to study. My intention here is to give some of my ideas on meconium staining and let you form your own opinions. Whenever we see a meconium-stained calf we must assume it has been under some stress and the birth was delayed for some reason that may or may not be under our control. That is why meconium-stained calves are very common with malpresentations, torsions and even large calves. 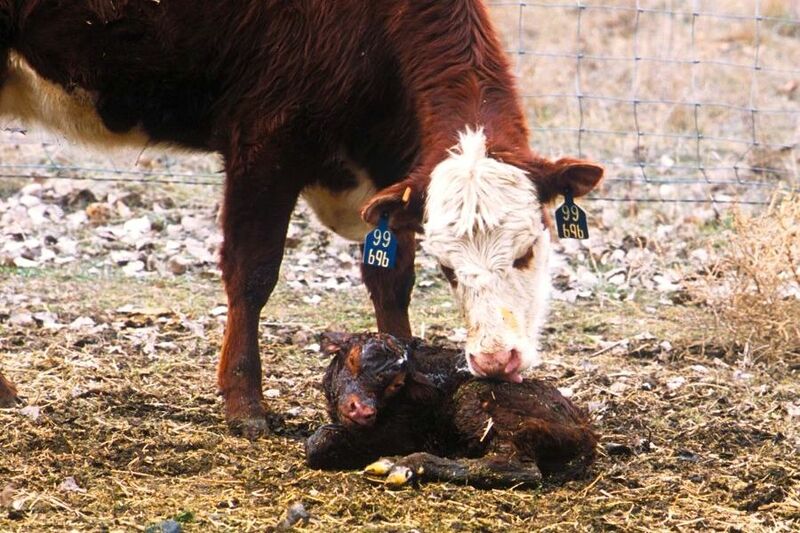 Normal calving should have taken place sooner and with the added stress the meconium is expelled, mixes with the uterine fluids and stains the calf. When most farmers see the meconium they recognize that the birth has been delayed but I am not sure if they also associate it with stress on the calf. 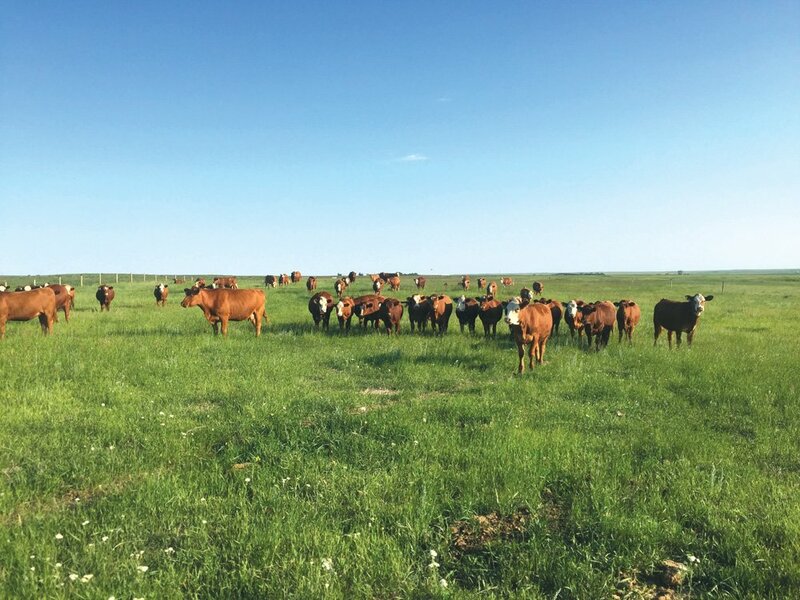 If one sees a number of these calves, it may be a sign that you are delaying your calving assistance for too long, or there are no recognizable signs of labour early enough. Either one may indicate other problems. 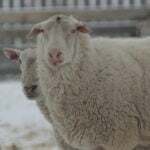 Nutritional issues such as low-grade calcium deficiencies can lead to the lack of uterine contraction and delayed parturition. Every time we move cattle into the barn and delay the return to full-fledged pushing there is the possibility of a delay in parturition and a meconium-stained calf. A stained live calf is also a warning sign that we may need to give that calf special attention. 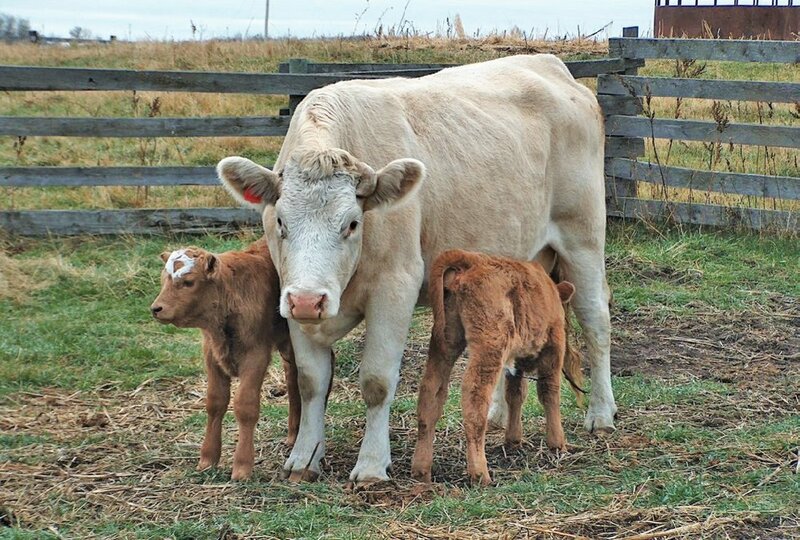 Calves from delayed births can suffer varying forms of anoxia, potentially making them slow to stand and nurse and more susceptible to calfhood diseases including pneumonia, scours and navel infection. So it may need supplemental colostrum sooner rather than later. Remember, it can be the first case that starts the outbreak so we should provide a bit more TLC to ensure the survivability of these meconium-stained calves. For that reason it’s a good idea to mark down in your calving records “calf meconium stained.” A majority of these calves will do very well with no additional care but the warning sign of meconium staining is trying to tell us something so observe them closely. 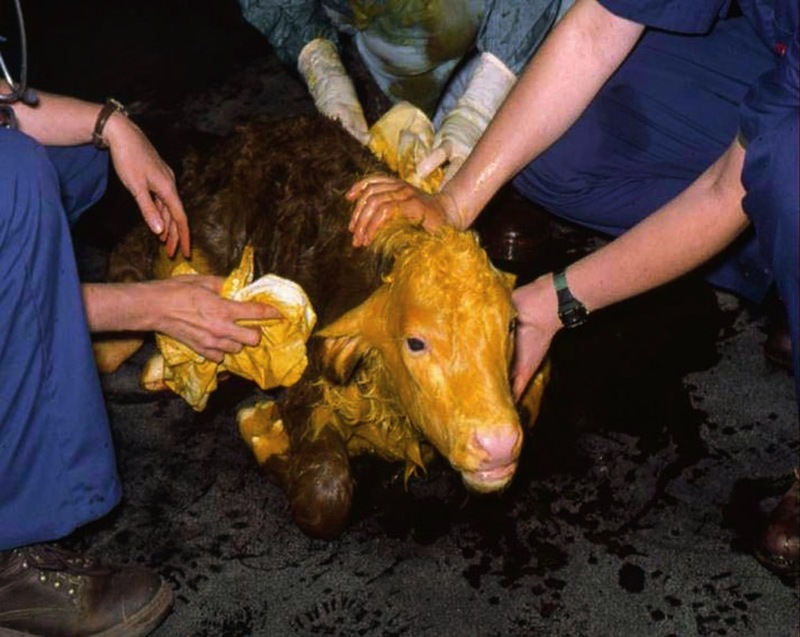 Seeing yellow fetal fluids even in the waterbag tells us that there is meconium staining, so time is of the essence and I would have no hesitation to help with the birth of that calf. The yellow fluid may also suggest you are dealing with a backward calf or breech birth, since the straining and pressure on the back end of the calf will almost certainly facilitate the expulsion of meconium earlier than normal. So the yellowing of the fluid is suggesting we examine the dam sooner in the birth process which, in the case of these types of malpresentations, may avert a stillborn calf. Even though one works efficiently and dili- gently at assisting, the meconium-coloured fetal fluid makes me as a veterinarian work a little bit quicker than normal. We probably see more of these calves as time has elapsed between when the farmer identifies a problem, checks it out himself and then calls us and we arrive, or the calving takes place at the clinic. 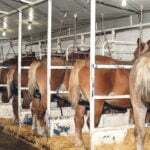 I don’t know if the volume of meconium indicates the degree of stress, since I have seen some heavily stained calves that were very lively and others barely stained which were very weak and lethargic. Meconium may warn us ahead of time to be ready to use some resuscitation procedures such as the straw up the nose, cold water in the ear, or a respiratory stimulant such as RespiSure (available by prescription). 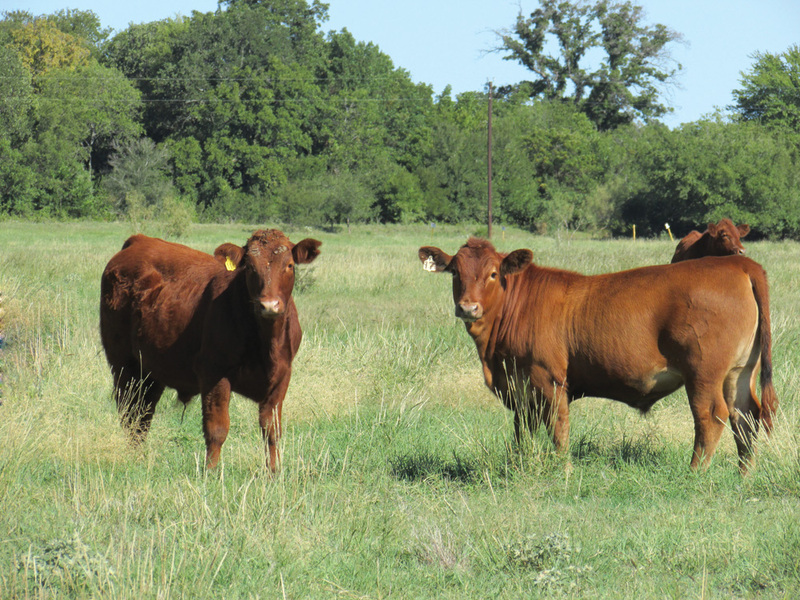 Supplemental oxygen, if available, should be on hand to help revive slow calves. The final decision on what to use comes down to the susceptibility to either a meconium-aspirated pneumonia or perhaps a higher propensity to contract navel infection. The jury is out on this one and while we don’t generally have problems with meconium- induced aspiration pneumonia, I have seen it diagnosed several times over the years, so I am always cautious and if the situation warrants it I prescribe a course of antibiotics. This will depend on the advice of your veterinarian but next time a meconium-stained calf is delivered at calving season I think it is well worth asking the question. I have followed up many of these cases over the years and in every case where antibiotics were prescribed the calf had no further treatment. In today’s world of prudent antibiotic use one must weigh the likelihood of getting sick, meaning further antibiotic would be required. The meconium is considered pretty sterile but aspirating it can cause damage to the lungs and predispose the calves to sickness. This spring think of meconium as an early warning sign of many things, and a good indicator that the cow has been in labour too long. 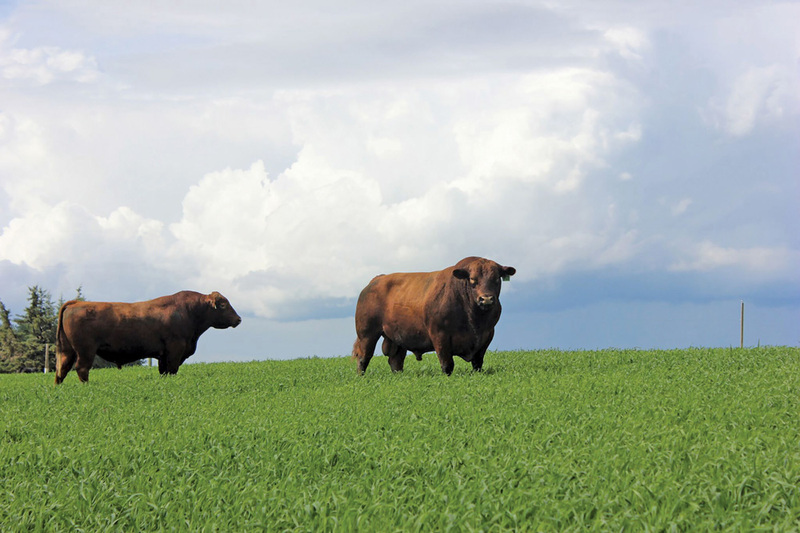 Additional care may be needed for both the cow and calf. 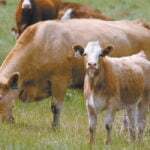 Your veterinarian may even prescribe NSAIDs in certain situations to help the calf and cow along. 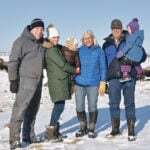 I truly believe all these additional efforts will lead to a healthier calf and, subsequently, a healthier herd and give you some peace of mind. 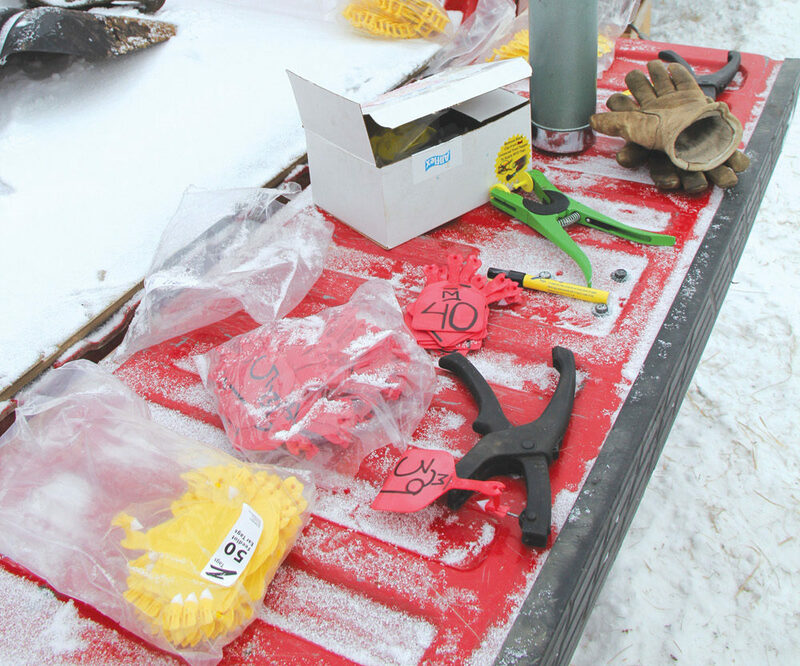 Very little has ever been looked at in regard to this topic at calving time.